Way to go! You made it to the finish line! You’ve been faithful to seek the Lord during our 21 Day Experiment. I hope you’ll take time to reflect on the ways the Lord has spoken to you. I repeat this little experiment about once a year—usually when my faith needs a pick-me-up. This morning I’m listing some of God’s fingerprints I’ve noticed along the way. I even have a special box for spiritual momentos I’ve collected over the years—they tend to show up when I’m doing the 21 Day Experiment. I don’t remember the first penny that caught my eye. I had been noticing pennies in the strangest places—just as I was praying. Funny, I thought. It’s almost as though God wants to let me know that He hears my prayers. I sure hoped so. I was going through a spiritually dry season. I was a young mom at the time with two small children. 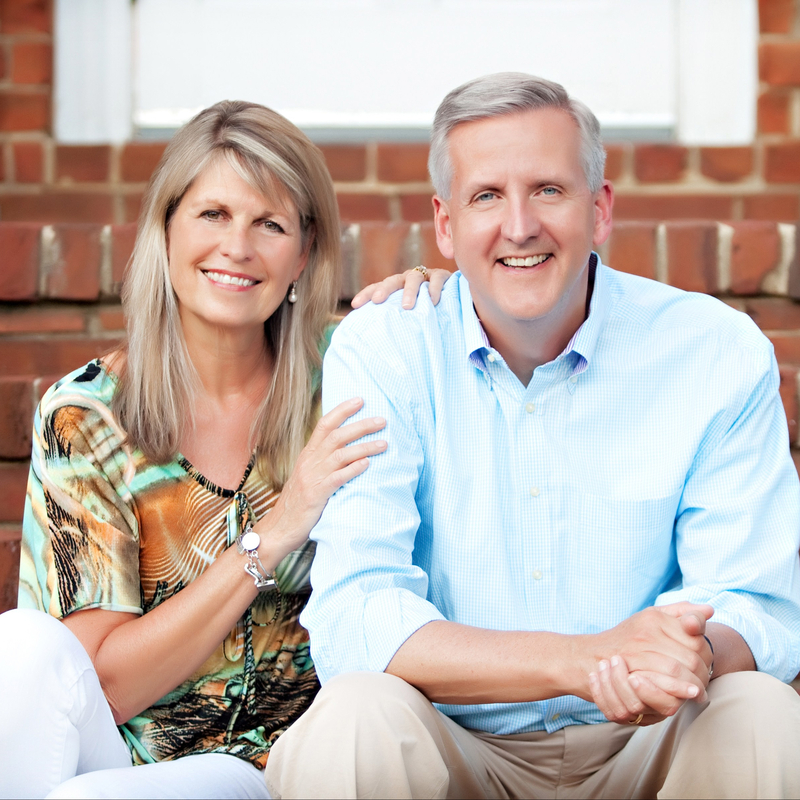 My husband David and I had worked hard building our church ministry for over ten years. Sometimes, the sheer load of caring for so many people became exhausting. Could these pennies really be little messages of encouragement from God? Perhaps it was wishful thinking. After all, the world groans with the weight of earthquakes, famine, and war. God has better things to do than send me pennies. Still I hoped. And there it was—another penny. This one in the heel of my shoe! The last one, under a glass on the kitchen shelf. The one before that, in the middle of my bed! I happened to share my penny story with my friend Kenna. Pretty soon, Kenna began finding pennies of her own! Pennies from heaven—that’s what I called them. Every time I found a penny, I dropped it into a pretty jar on my kitchen shelf. Discouraged, Thomas vowed, “Unless I see the nail marks in his hands and put my finger where the nails were, I will not believe!” I felt for Thomas. For I, too, was in need of encouragement. Jesus appeared again eight days later. This time, He singled out Thomas. But instead of scolding him, Jesus said, “Put your finger here. See my hands. Reach out your hand and put it into my side. Stop doubting and believe.” Thomas cried out, “My Lord and my God!” (John 20:22-24). Could it be that God cared enough to encourage doubters like Thomas—and like me? Maybe all those pennies really were God’s way of speaking to me. Lord, I prayed silently, I do believe You’re sending me those pennies. But I need something more. As an afterthought, I added, Lord, You showed your nail-scarred hands to Thomas. I want to see Your nail marks, too! I never told anyone about my prayer. How could God possibly show me a nail hole? A few days later, I received a card in the mail from Kenna. Taped to her card was an ordinary penny. But as I looked closer, I caught my breath. Right through the center—was a nail hole! I sat transfixed. And suddenly I knew. God had sent me a nail mark, just as I’d prayed. Suddenly, it was clear. God is awesome. He is powerful enough to rule the entire universe! But He’s also personal. And tender enough to send a nail-pierced penny to another “Doubting Thomas” in need of encouragement—just like me. Over the years, I’ve learned that God’s signs are often quiet—like a whisper. And ordinary—like that penny. So if I’m not watching, I just might miss them! That’s why it’s important to develop a daily habit of watching for signs of God at work. Why not commit to making time in God’s Word and prayer your top priority? I call it my “daily launch.” A friend of mine, one of the busiest women I know, recently shared how her life was transformed when she began having a morning quiet time. Now it’s her favorite hour of her day. She’s collecting plenty of “God stories” of her own. Something extraordinary begins to happen when we give God our first fruit. The 21 Day Experiment is a good way to jumpstart this habit. Carry this momentum with you to the next portion of Scripture. I’ve used this same simple method to read through several books in the Bible. If you like to study, you might choose to invest in the Key Word Study Bible. Bible Gateway is a great online resource to read the Bible in multiple versions. Before I began the 21 Day Experiment in Prayer, I was struggling with _________. After reading through John’s Gospel, I’ve noticed____________________________. One tangible sign I’ve received from the Lord is _____________________. A verse from the 21 Day Experiment that has special meaning:_______________. As a result of my experiment, I commit to take this step of faith:___________________. Just for fun, why not find a box and start a collection of your own spiritual momentos? It’s a great way to become more alert. More watchful. More thankful! Morning by morning I lay my requests before you and eagerly watch for the answers (Psalm 5:3). Trust. It’s hard to earn and easy to lose. Who do you consider to be truly trustworthy? In our fast-paced world, dominated by social media, it’s easy to create a friendly facade. How much harder to maintain trust. The Bible talks a lot about trusting God. Our relationship with Him is based on trust. So if we struggle with trust, we probably struggle with God. That’s nothing new. People have struggled with trusting God since those fateful days in Eden.